Rediff.com » Movies » PIX: Sonam, Janhvi, Katrina win big! 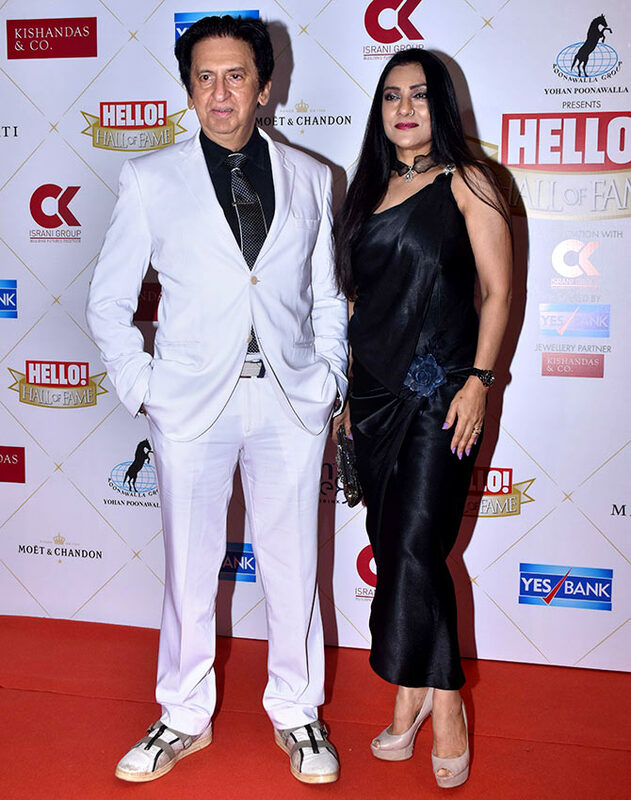 Bollywood dazzled on the red carpet of the Hello! 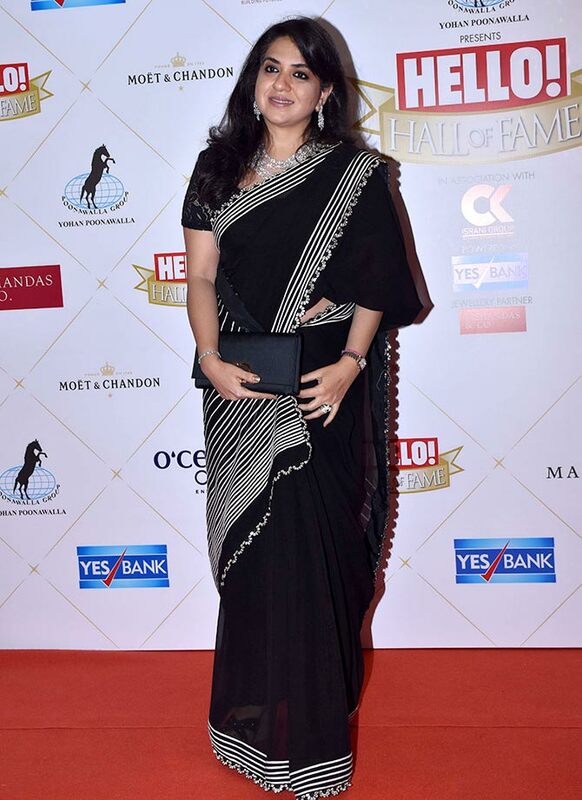 Hall of Fame Awards 2019 ceremony that was held in Mumbai last night. The Cinematic Debut Of The Year award went to Janhvi Kapoor. Sonam Kapoor won the Path-Breaking Performance Of The Year award. Ranveer Singh was the Superstar Of The Year. Katrina Kaif won the Popular Choice, Female Actor award. 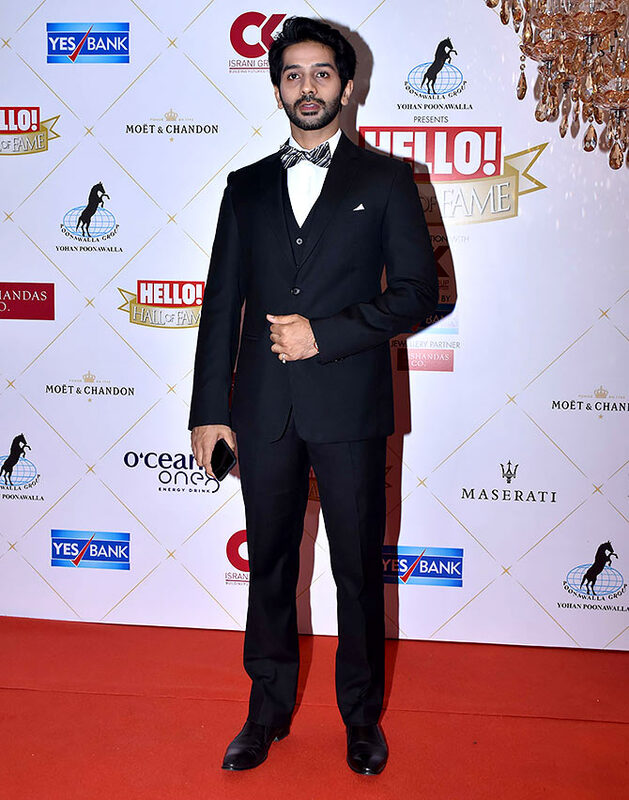 Ayushmann Khurrana won the Popular Choice, Male Actor award. Vicky Kaushal was named Outstanding Talent, Male. Aditi Rao Hydari won the Versatile Artiste award. Shibani Dandekar arrived with Farhan Akhtar. He won the Most Stylish Man Of The Year award. 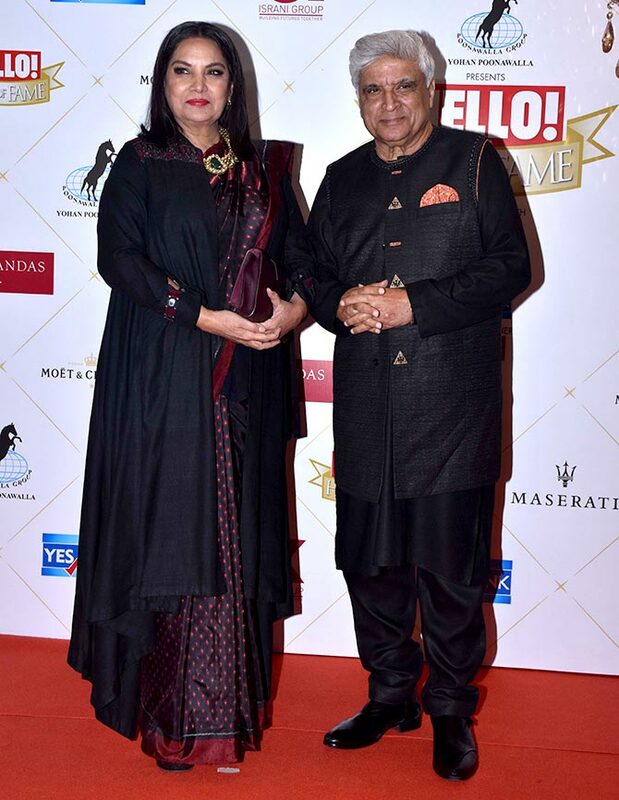 Shabana Azmi and Javed Akhtar won the Timeless Icons In Indian Cinema award. 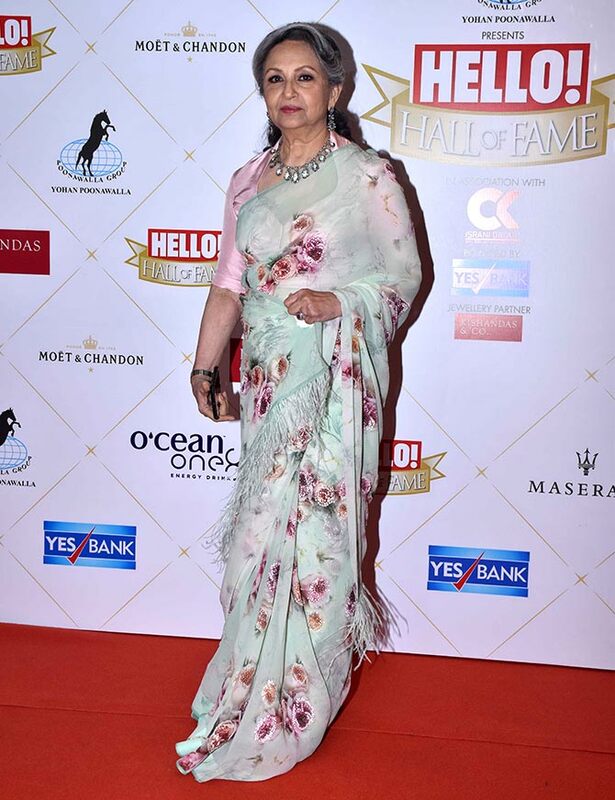 The Lifetime Achievement award went to Sharmila Tagaore. 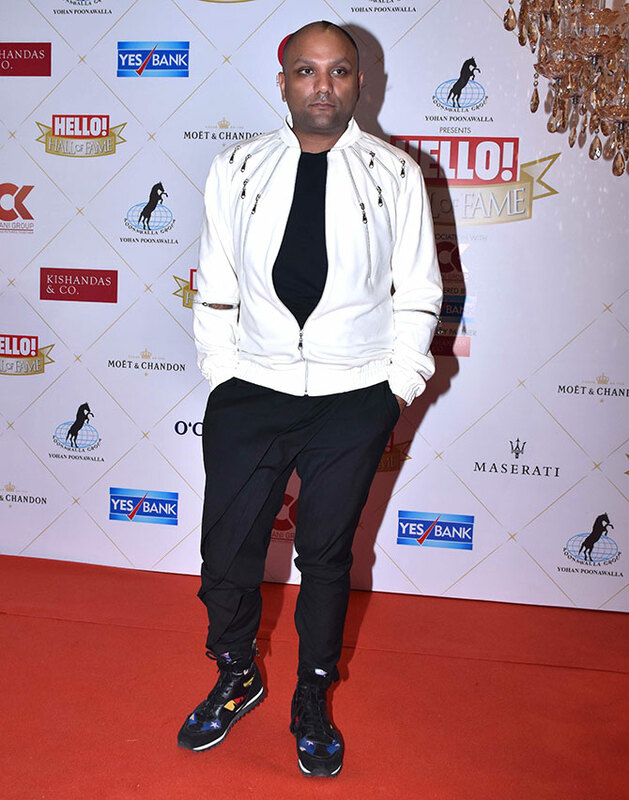 Gaurav Gupta won the Excellence In Fashion award. Gaurie Pandit with her husband, Nikhil Dwivedi. Queenie Singh with her husband, Rishi Sethia. Yash Birla with daughter Shloka. 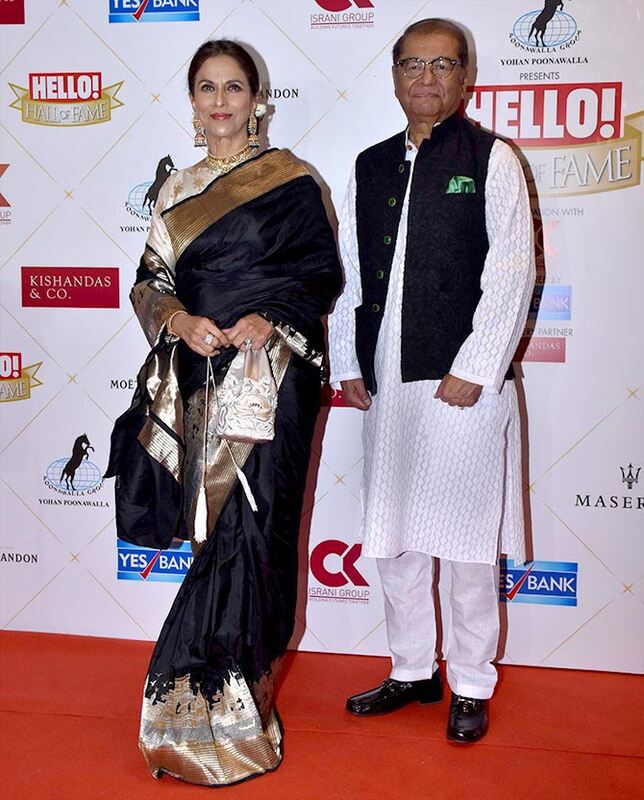 Shobha De with her husband, Dilip De. Michelle with her husband, Yohan Poonawalla. PIX: Sai, Alia, Rani celebrate!